INTERNATIONAL ATOMIC ENERGY AGENCY, The Radiation Chemistry of Polysaccharides, , IAEA, Vienna (2016). 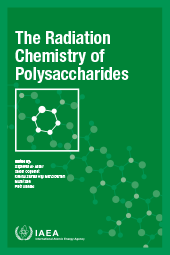 This publication provides the background and compiles the most recent research findings as well as detailing development activities relating to the development of radiation processed products made of natural polymers. Successes clearly indicate that the radiation processing of natural polymers has emerged as an exciting area where the unique characteristics of these polymeric materials can be exploited for a variety of practical applications in agriculture, healthcare, industry and the environment.